Price action behavior during the day’s trade shows evidence of a bullish environment. There are some clear buy zones up ahead. 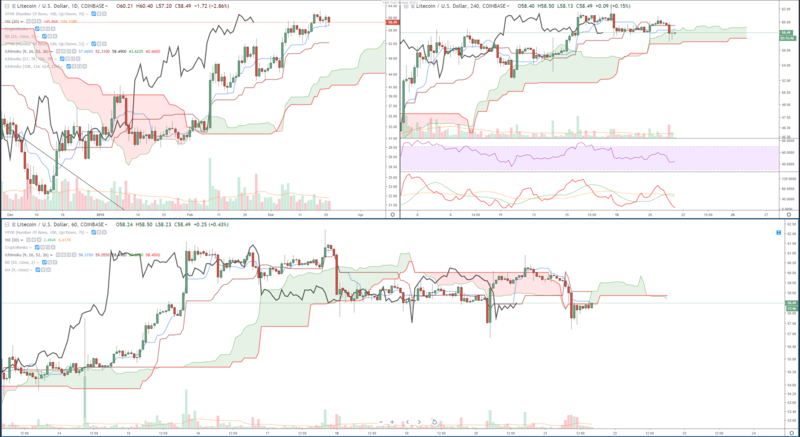 The chart above shows three Ichimoku charts with different time periods. The daily chart on the top left, the 4-hour chart on the top right and the 1-hour chart on the bottom. Evidence for an extremely bullish future for Bitcoin is clear when we look at the Daily Ichimoku chart (or just look at the volume!). Massive buying pressure and support found at the Daily Kijun-Sen. On the 4-hour and 1-hour charts, the entry is an easy prediction and clear read. An entry at 3995 brings Bitcoin above the 1-hour cloud and above the 4-hour Kijun Sen.
Out of the top ten market cap cryptocurrencies, Litecoin has the longest running and powerful bullish chart. 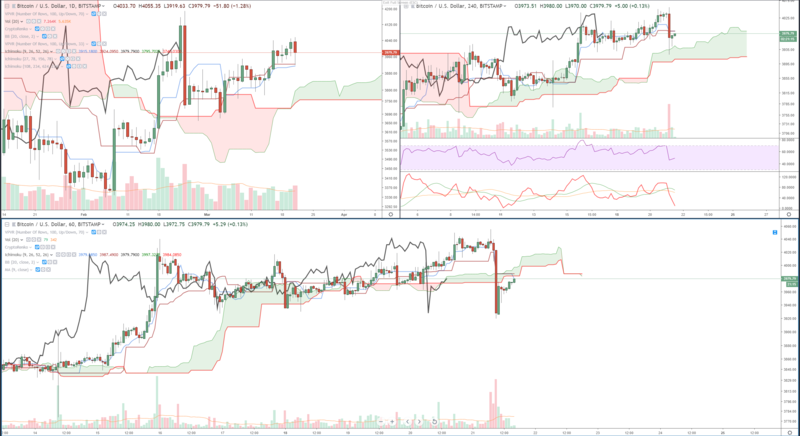 When we look at the daily Ichimoku chart (top left) we see that Litecoin has consistently found support against the Daily Tenken-Sen – a very, very bullish piece of analysis. 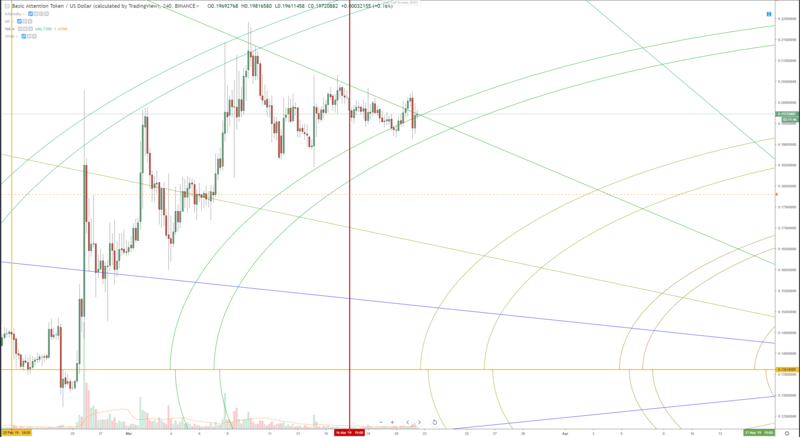 The buy signal and entry here would be for Litecoin to cross above the 4-hour Kijun-Sen at the 60.00 value area. Basic Attention Token is exactly where it needs to be to begin another bullish leg higher. 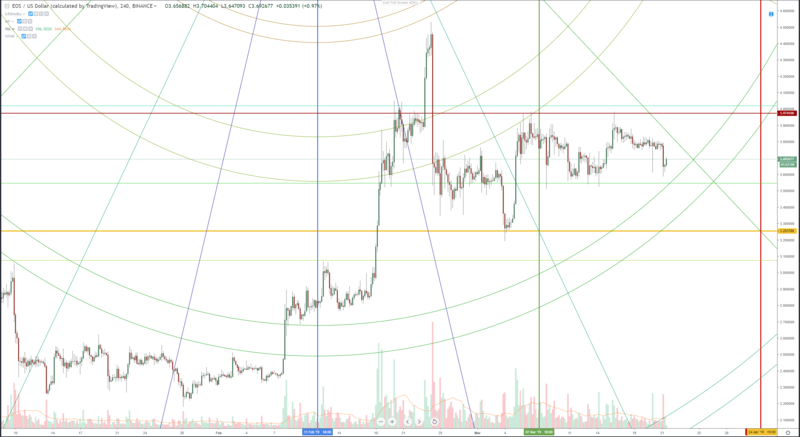 It is currently pressed right against the 45-degree angle as well as the 50% Fibonacci arc. Both of these levels are important because they each represent an area of equilibrium. For all intents and purposes, Basic Attention Token is at about an exact level of equilibrium as it can get. The bias remains bullish. 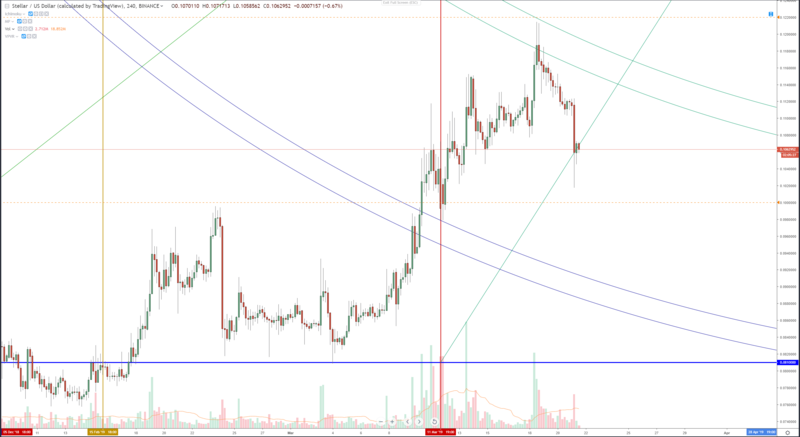 A break above this zone is the clear entry. An ideal entry would not only be above the arc and the 45-degree angle, but the most recent high as well. Stellar has had over a -12% sell-off ever since the extremely positive news regarding IBM’s partnership with Stellar and IBM’s new payment service. Price action wise, Stellar was already sitting against a powerful reversal and resistance area up against the 0.618 Fibonacci arc. It has moved down to where it is currently finding support against the 1×2 angle. Given that the aggregate market is quite bullish and Stellar has experienced a minor pullback – we should expect to see a fairly swift return to our most recent highs. And entry here would be on the 4h-hour chart with a close above the most recent 4h candle.